Many people feel nervous about trying hypnosis for themselves. At least as many think it's all 'bunkum' and wouldn't try it if you paid them. Neither group can be blamed for their attitude. But such misplaced fears and skepticism mean that they exclude themselves from the benefits that hypnosis can bring them. And the potential benefits available to those who learn how to utilize hypnosis are many. You can hardly have escaped hypnosis hype if you've ever watched TV or been to the movies. Hypnosis is a popular theme in many thrillers, horror movies and science fiction. In such scenarios, one or more characters is portrayed being 'hypnotized' into doing bad or dangerous things - seemingly unwittingly. Things they would never dream of doing or dare to do of their own accord. So the story would have you believe. Fictional though such representations are, their frequent recurrence spreads the notion that hypnosis is something that can be 'done' to you without you being aware of it. And that hypnosis can make you do things which are against your nature or your moral beliefs. Such notions are fine in fantasy fiction - but they are nothing to do with real life. Another source of misconceptions about hypnosis is the hypnosis stage show. Typically, the hypnotist invites volunteers from the audience and then demonstrates a number of hypnotic techniques. In a stage show, 'entertainment value' is all important. So the hypnotist is at pains to make it look as if they have 'control' over the subjects, and to get them to do bizarre things which will make the audience laugh. So, all in all, it's not surprising that many people feel nervous - or totally skeptical - about the idea of hypnosis. As is often the case in life, these muddled notions and misconceptions contain within them a grain of truth. Actually, it's more than a grain. It's a gold nugget of truth. It is true that hypnosis can help you do things that you believe (or fear) you cannot do. Things that you will be totally amazed to find that you can do, easily and effortlessly. Like feeling totally comfortable standing up and talking to a crowd of people. 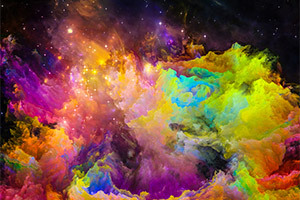 Hypnosis allows you to directly access your imagination and change your own instinctive behaviours. So that those spiders (or dogs, or moths, or whatever) that used to cause your heart to race and your palms to sweat no longer have any effect at all on you. Through hypnosis, you can bring about real measurable physical changes - such as lowering your blood pressure, and healing faster after illness or surgery. Modern life is full of challenges, with stressful situations and difficulties at every step. 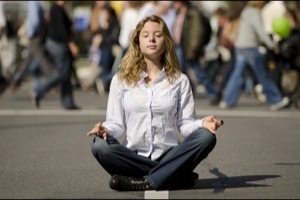 Learning hypnosis will enable you to relax deeply and handle stress effectively. In addition to the health benefits from this, you can use hypnosis to create profoundly strong good feelings of confidence, motivation, and exhilaration which you can take with you into your life. People who know how to self-hypnotise simply have more options. You might still feel nervous about trying hypnosis with a hypnotherapist. First Time Hypnosis offers you a safe and easy way to put your toe in the water. 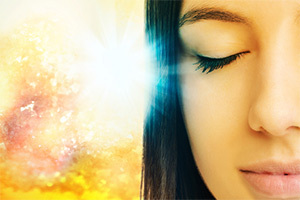 This audio session explains and explores the basic steps of entering and utilizing hypnotic trance for your own benefit. When you listen to First Time Hypnosis you will broaden your knowledge and understanding of how hypnosis works and how you yourself can begin to use it. You will quickly learn how to relax yourself deeply and activate the powers of your imagination. First Time Hypnosis addresses all the questions that arise in the mind of the first time hypnotee and sets your mind at rest. First Time Hypnosis has been purchased by 141 customers.